Kyle Grillot - kgrillot@shawmedia.com Richmond-Burton seniors Kory Klicker and Mike Kaska exit the field after the final pitch of the boys baseball game Thursday in Harvard. Richmond-Burton beat Harvard, 1-0. 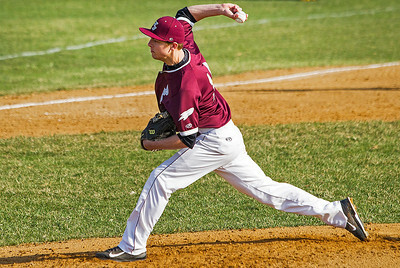 Kyle Grillot - kgrillot@shawmedia.com Richmond-Burton senior Mike Kaska pitches during the first inning of the boys baseball game Thursday in Harvard. Richmond-Burton beat Harvard, 1-0. 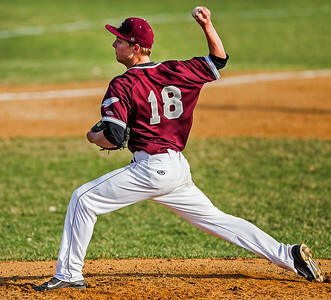 Kyle Grillot - kgrillot@shawmedia.com Richmond-Burton senior Mike Kaska pitches during the third inning of the boys baseball game Thursday in Harvard. Richmond-Burton beat Harvard, 1-0. Kyle Grillot - kgriillot@shawmedia.com Richmond-Burton senior Mike Kaska (right) is greeted by assistant coach Tom Miller after the third inning of the boys baseball game Thursday in Harvard. Richmond-Burton beat Harvard, 1-0. 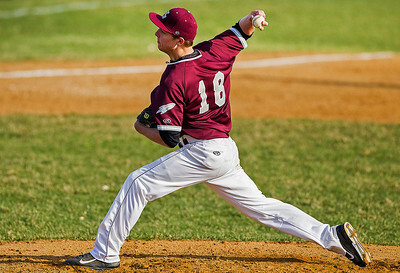 Kyle Grillot - kgrillot@shawmedia.com Richmond-Burton senior Mike Kaska pitches during the fourth inning of the boys baseball game Thursday in Harvard. Richmond-Burton beat Harvard, 1-0. Kyle Grillot - kgrillot@shawmedia.com Richmond-Burton seniors Kory Klicker and Mike Kaska hug after the final pitch of the boys baseball game Thursday in Harvard. Richmond-Burton beat Harvard, 1-0. 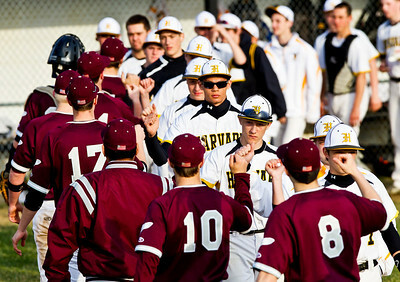 Kyle Grillot - kgriillot@shawmedia.com The Richmond-Burton and Harvard teams greet each other after the boys baseball game Thursday in Harvard. Richmond-Burton beat Harvard, 1-0. 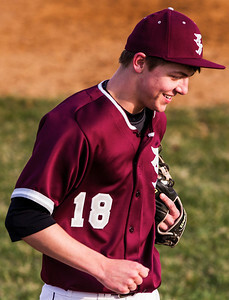 Kyle Grillot - kgrillot@shawmedia.com Richmond-Burton senior Mike Kaska exits the field after the final pitch of the boys baseball game Thursday in Harvard. Richmond-Burton beat Harvard, 1-0. 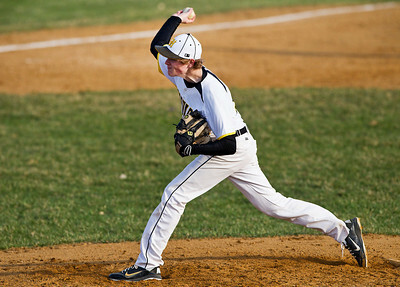 Kyle Grillot - kgriillot@shawmedia.com Harvard senior Matthew Peichocki pitches during the fifth inning of the boys baseball game Thursday in Harvard. Richmond-Burton beat Harvard, 1-0. 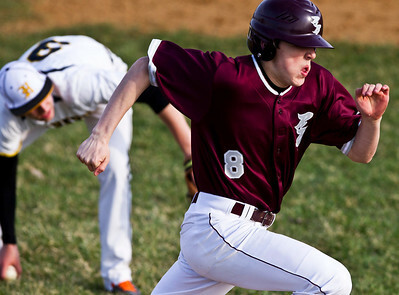 Kyle Grillot - kgriillot@shawmedia.com Harvard senior Tate Miller rushes back to first base after catching a ground ball during the fourth inning of the boys baseball game Thursday in Harvard. Richmond-Burton beat Harvard, 1-0. Kyle Grillot - kgriillot@shawmedia.com Harvard senior Matthew Peichocki goes to throw out Richmond-Burton senior Mike Kaska during the fifth inning of the boys baseball game Thursday in Harvard. Richmond-Burton beat Harvard, 1-0. 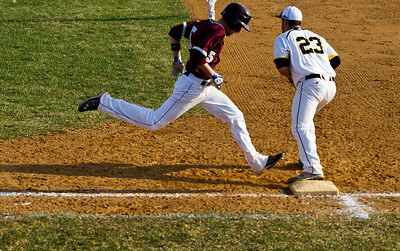 Kyle Grillot - kgriillot@shawmedia.com Richmond-Burton senior Jake Kaufman (right) attempts to make it safely to first base while Harvard junior Peyton Schneider picks up his ground ball hit during the fourth inning of the boys baseball game Thursday in Harvard. Richmond-Burton beat Harvard, 1-0. 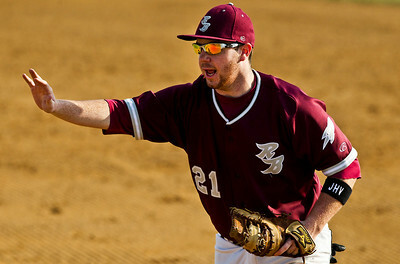 Kyle Grillot - kgriillot@shawmedia.com Richmond-Burton senior Drake Talles signals to his teammate before tagging a player out at first base during the fourth inning of the boys baseball game Thursday in Harvard. Richmond-Burton beat Harvard, 1-0. 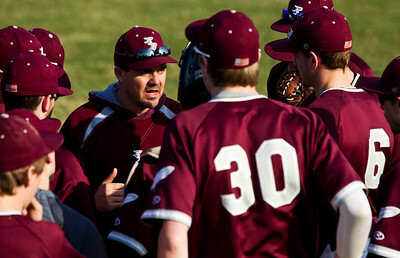 Kyle Grillot - kgriillot@shawmedia.com Richmond-Burton coach Mike Giese talks with his team after the third inning of the boys baseball game Thursday in Harvard. Richmond-Burton beat Harvard, 1-0. Kyle Grillot - kgriillot@shawmedia.com Richmond-Burton senior Brian Wells (5) attempts to make it to first base, tagged out by Harvard senior Tate Miller during the fourth inning of the boys baseball game Thursday in Harvard. Richmond-Burton beat Harvard, 1-0. 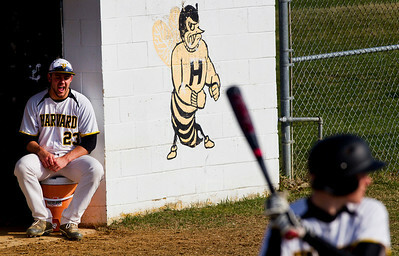 Kyle Grillot - kgriillot@shawmedia.com Harvard senior Tate Miller (left) cheers on his team during the third inning of the boys baseball game Thursday in Harvard. Richmond-Burton beat Harvard, 1-0. 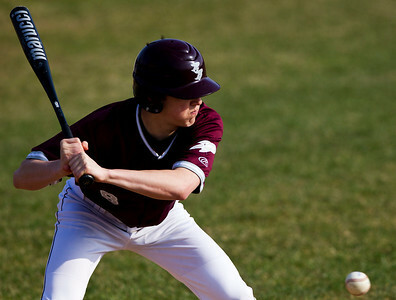 Kyle Grillot - kgriillot@shawmedia.com Richmond-Burton's Jake Kaufman lets a pitche by him during the second inning of the boys baseball game Thursday in Harvard. Richmond-Burton beat Harvard, 1-0. 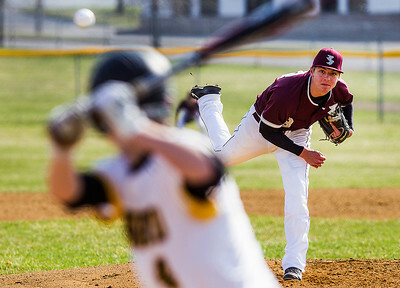 Harvard senior Matthew Peichocki goes to throw out Richmond-Burton senior Mike Kaska during the fifth inning of the boys baseball game Thursday in Harvard. Richmond-Burton beat Harvard, 1-0.